Tábor - TBS - travel agency for all your travel needs in the Czech Republic! 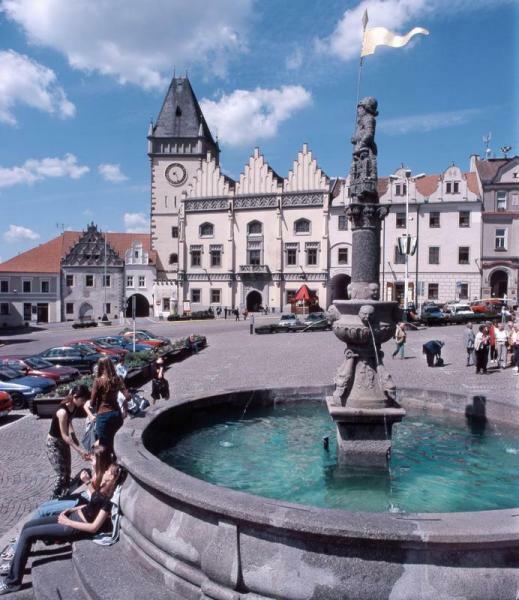 The town of TÁBOR is famous for many historical monuments closely tied with the history of the Czech lands. The Kotnov Castle is a declared National monument along with the brewery precincts and Bechyňská Gate. A complex of underground passages (dates back to the 15th century) is accessible via entrance gate in the Museum of Hussitism. We also recommend visiting the Chýnov Caves, the town of Bechyně, Červená Lhota Castle, and the castle ruins of Choustník and Dobronice. Fairs, traditional festivals ‘Táborská setkání’, and other cultural events take place in Tábor each year.